Today I'm going to be sharing my 2012 favourites with you. I am back at school tomorrow so I thought I would post this today sorry about it being late ! This really has been a hg item for me this year it's fabulous on my combination skin and I find it really helps reduce the amount of blemishes I get. I love this stuff when I first read about it I was very sceptical. I didn't think it would work because when I had brown hair I used to buy the batiste for brown hair and it still left me with white in my hair. The only complaint I have is I wish batiste would do other flavours for coloured hair like a cherry for red hair. That would be awesome ! This is my all time favourite body spray ever I always get multiple comments when wearing it. A must have for me. This is my baby I love it to the moon and back! I'm not going to go into major detail as I wrote a review of this not long ago. This is my second bottle of this and I wore it non stop for about 3 months which is alot for me ! It's a gorgeous summery peach colour it's so pretty and great for the spring / summer months. I bought this after watching loads of comparison videos on this bb cream the garnier one and the Maybeline one and I'm so glad I picked this one. It claims to help skin to clear up and I found it did that it is also a pretty close to perfect match for my skin tone. This was my favourite lipstick for almost 3/4 of the year it's a beautiful vintage rose colour and is very flattering on paler skin tones. I would call it a your lips but better as it is quite a lot darker but its close. The only thing I don't like about this is the staying power but the colour is just to beautiful! 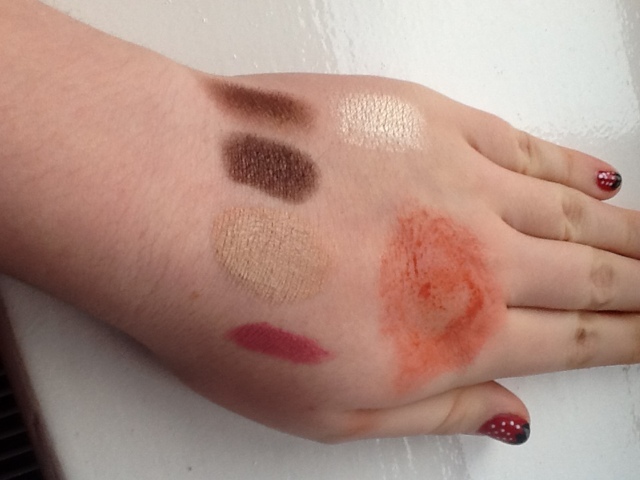 The pigment of these shadows is quite unbelievable £4 for 12 shadows of amazing quality is such a bargain it works out at around 33p per shadow I love this palette and find the colours perfect for me I think every one should have room for one in their makeup collection. Lovely post! 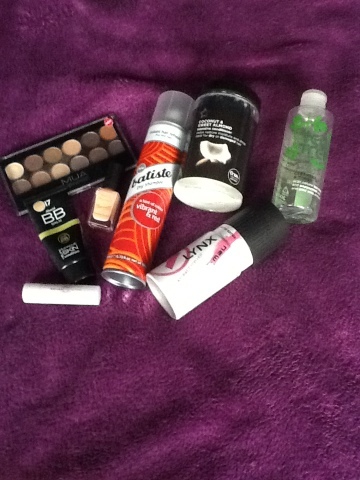 :) I have to agree with you on the superdrug tea tree cleasner- it's brilliant!